A gathering of velvet-smooth red roses, set off with a touch of eucalyptus, is classic - but never ordinary. 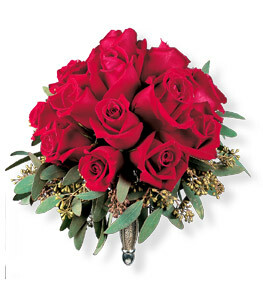 The nosegay features 60cm red roses and seeded eucalyptus in an elegant gold bouquet holder. Page loaded in 0.5339 seconds.